Although it had a radial engine, the German Focke-Wulf Fw-109 was one of the most beautifully proportioned fighters of World War 2. The pride of Marshall Goering, the 190 maintained superiority over the British Spitfire 5 for almost two years because it could out fly its opponent on nearly every count. 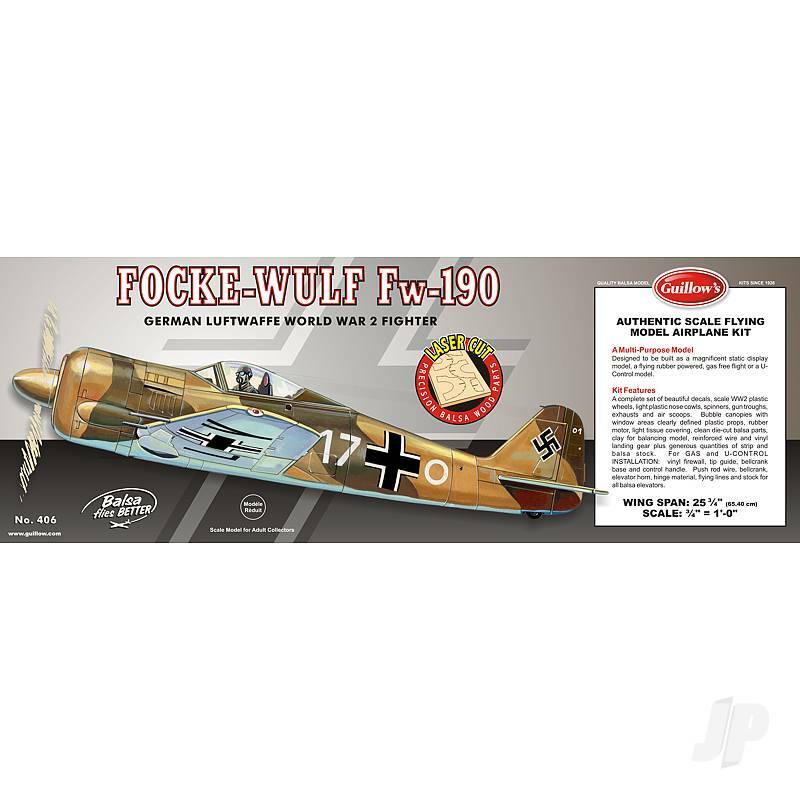 Approximately 20, 000 Focke-Wulf's were produced and, in various versions, were used as day and night fighters, fighter-bombers and in ground attack roles. One feature of the 190 was its wide track under carriage, which gave it, improved ground stability over the BF-109's.